As I inspect the crumbs under the kickboard, I pay just enough attention to hear them play along. “Right. L is for?” And they’re off again. Be more present, be more present, be more present, I think. M…N…O…I laugh to myself when we reach P. P is for pressure, that’s what, I think as I remind myself that I really need to print off those tax documents tomorrow. And call the doctor. And send off those emails. And register for that training. The fact that I can share this with you today reflects true progress. I’m learning to notice the pressure now, examine it, and reduce it where I can, trusting that I can still address the valid concerns that are within my control. But before, pressure just felt normal. Necessary even. I used to tell myself that this is what discipline and motivation looked like, as if I didn’t believe I could do the things that mattered without the stress. It’s only in the last few years that I’ve dared to be honest with myself about what goes on in my body and mind. Now, I accept that this is pressure, and it isn’t helping. Now, I know that my thinking patterns and actions can either bring more pressure or more peace. And now, I truly believe that I have the power to choose which way it goes even when nothing else is in my control. This doesn’t mean I’ve perfected the process. Far from it. But now I have the clear intention to at least try. Recognizing the pressure was the easy part. The warning signs were clear enough: headache, tension, irritability, worry, fatigue. This doesn’t always stop me denying it or trying to power through. Recognizing that my thoughts and actions might be intensifying it was a little harder. There’s always a kernel of truth (or more) in the pressures we feel. Pressure comes from the real, daily things that keep life running smoothly. It also comes from the deeper, scarier problems we face. A serious diagnosis. Unemployment. Divorce. Loss. Trauma. And either way, whether it’s an everyday concern, a traumatic event, or what we’ve learned to label as a “silly” worry, we feel pressure when we care. The pressure we feel tells us so much about our values, priorities, and expectations. However, in my experience and maybe yours, there’s a special kind of pressure that’s internally generated, or at least internally magnified. It’s not made up or crazy, but it can become disconnected from reality the longer it goes on. That drone of what if this and what will they think and who will I be is my voice in my head. It echoes a lifetime of internalized messages, but now, as an adult living my own adult life, it’s me sending most of those messages. Which leads me to the hardest part of choosing a more peaceful way through: the choice. I’ve held on to so many pressures in my life, waiting for the day I’ve finally earned the right to let them go. The trouble is, there’s no referee or judge, no one’s keeping score. I’m the only one who can grant myself permission to change, and it’s me who chooses peace or pressure. But when things get hard or serious, or when something I really care about is on the line, the doubts can creep in. Is it safe to let go of my pressure-filled thoughts? What if I need this pressure to succeed? Can I really let myself slow down and relax when there’s still so much I need to accomplish? Do I deserve to feel good right now? Have I earned it? I’ll have time for myself when this is all over. Every day, I grow more aware of this process, and every day, I feel a little braver. Brave enough to find my way back to the peaceful path. I can still act so surprised about the pressure, though. After the big doctor’s appointment, after the wedding, after the funeral, after the visit with the in-laws, after the annual review, I’ll have a moment of clarity. I’ll see as if for the first time how much pressure I’d been under by its absence. For a moment, before the space is filled in with something new, I feel peace. And every time, for just a moment, I can talk to myself with true understanding and compassion. Then, when I could assert my willingness to change, that familiar critical voice sneaks back in. But I thought you’d be over this by now. I am worthy of love and connection? Can I get through this? Here, too, I’m learning how to choose the peaceful path through. I’m learning that there’s no purpose in shaming yourself for the pressure, just as there’s no purpose in minimizing it or bottling it up. I’m learning that taking the peaceful path means changing the whole process to one of compassion, not criticism. So, I’m practicing answering those questions in a more caring way. You don’t need to hurt yourself like this. You can decide how you’re going to approach this. Even here, you can choose to accept yourself. You can choose the most peaceful path through this. There will always be pressure. Pressure, pain, stress, tension, friction—they’re a part of living. Life cannot and will not ever be stagnant, and that’s not always comfortable. Still, we can choose a more peaceful path through it. Maybe now you’re under the pressure to do more and do it faster. Or the pressure to be certain. Or to be strong or perfect. Or maybe even the pressure to release the pressure. The pressure you experience may be internally generated or a reflection of the people and circumstances surrounding you. No matter how much pressure you’re under or where it stems from, you can find a more peaceful way through it with your own compassion. 1. Practice being aware without the judgment. Learn your personal early warning signs and start to label that internal experience as pressure. Practice recognizing it before it boils over or paralyzes you, and be honest with yourself about whether it’s really helping. Even if all you’re able to do is notice its absence when it leaves, start there. Notice the feeling of pressure or relief, call it what it is, and recognize how this process impacts your life. When you’re under pressure, validate your feelings with statements like you’re under pressure right now and this feeling makes sense. And move toward validating your own worth. Even statements like I’m learning to accept myself can be enough to ease the pressure. 3. Look beneath the surface. Once you’ve recognized you’re under pressure and offered yourself validation, you can look beneath the surface at what’s going on. Be honest and compassionate with yourself as you ask the questions that help you understand your situation. What feels threatened? Who’s influencing you? Could you be magnifying this? What would help you ease the pressure? What’s one thing within your control? What scares you about finding a peaceful way through? 4. Practice new thoughts and actions until they’re your new normal. Tell yourself the kinds of things you’d tell a dear friend who’s under pressure. Remind yourself of your true priorities, your strengths, and the choices you can make. Tell yourself why you wish to choose a more peaceful path. And do it again and again and again until the words stop sounding foreign. Then, practice building the courage to act from that place, even if you don’t quite believe it yet. Belief might have to come after the action. Act like it’s safe to be you, safe to be happy, and safe to choose peace. Take one thing off the agenda. Extend a deadline. Tackle something small and savor crossing it off the list. Take a walk and fill yourself with awe. Whatever you do, remember that the bravest thing isn’t always the biggest or the boldest but the most authentic. 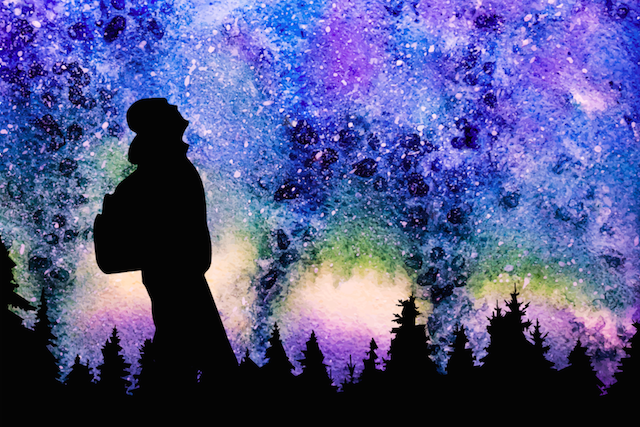 Practice these steps from a place of love and treat every time the pressure returns, because it will, as another moment to renew your commitment to finding the most peaceful way through. 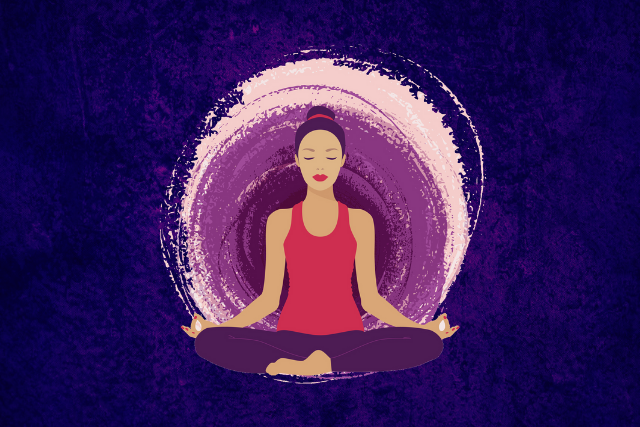 The post How to Choose Peace When You’re Under Pressure appeared first on Tiny Buddha.